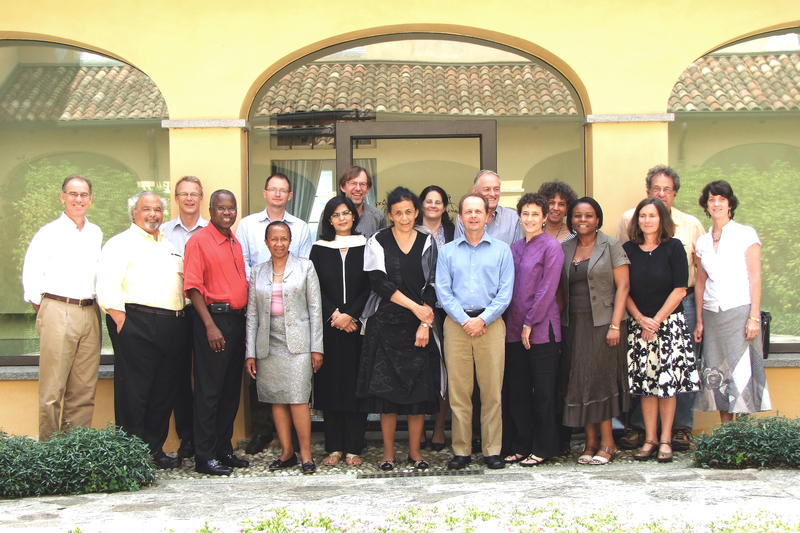 August 20, 2010: Dr Sania Nishtar participated in a leadership level meeting at the Rockefeller Foundation Bellagio Center in Italy on August 17-20. The meeting was organized by the Columbia University Mailman School of Public Health and focused on the interaction between health systemsparticipated2 and HIV. The Khyber Pakhtunkwa Child Protection and Welfare Ordinance 2010 is due to be presented to the Provincial Assembly any time now. The Ordinance is meant to be an improvement on the previous legislative enactments. However, a recent review circulated on a virtual civil society network by an NGO working in the area of child protection has raised some valid points about the Ordinance’s technical and normative weaknesses—in particular its lack of conceptual clarity in relation to corporal punishment, the divergent stances signalled as regards its abolition and restrictive definitions of sexual abuse and trafficking. Whilst acknowledging that the new Ordinance provides comparatively high protection than the existing criminal protection system for juvenile convicts, the review argues that the law fails to raise the minimum age of criminal responsibility which is currently 7 years. What is worrying, as noted by the review, is that the extensive feedback on the draft law, solicited from the civil society over the course of several years whilst the law was in draft shape hasn’t been heeded to at all. The Ordinance needs to be viewed in a broad context. There are many complex issues that need to be addressed in relation to the state’ responsibility towards children and the manner in which they should translate into norms. It has been 10 years since Pakistan has ratified the United Nations Convention on the Rights of Child (UNCRC) but the domestic legislation that had to be enacted to translate that commitment into law has been long overdue. UNCRC categorizes the state’s responsibility towards children in four streams—survival, protection, development and participation. The KP Child Protection and Welfare Ordinance 2010 relates mostly to some aspects relevant to one stream, namely protection. The need for provinces to pay heed to legislation in this area has become important after the 18th Amendment, as the subject of child welfare has now come totally under their purview. There are many complex legislative issues under this rubric. Some of these are covered under various federal laws. Provinces should now start thinking about how they can promulgate provincial laws in all these areas within the one year period given to them in the transition time window. The risk being that at some point federal laws can be challenged since the area is no longer in the federal domain. Two areas are important for legislation in this connection. One pertains to the broader question of the Rights of a Child. The need to spell out the rights of a child is important since the Constitution does not explicitly refer to this subject. It might be useful to look back into history to examine past attempts at framing norms in this area so that provinces can build further on these frameworks. One of the most relevant within this context is the Child Rights Bill, which was introduced in the National Assembly as a private member’s bill on April 14, 2009. The bill was drafted in the light of provisions of UNCRC. After going through the due process involving Parliamentary Committee deliberations and Ministry of Law and Justice’s scrutiny and subsequent incorporation of many changes, a revised version of the bill was finally ready for being taken to the last stages of being promulgated. However, timing became a problem at this stage. The bill had several covenants, which related to subjects such as health, education, social welfare and drugs etc. which were previously under the Concurrent List and therefore the justification for the National Assembly to legislate in the area. After the 18th Amendment, these subjects now fall exclusively under the provincial purview and therefore there is little justification for the law to be enacted at the federal level, unless it is enacted for the federal territory and that too once the Constitution is looked at closely with regard to how that can come about. The provinces should now look closely at this framework to adopt elements into their respective legislative frameworks, in particular KP province where work is ongoing. Whist doing so it is important to note that the original version of the Child Rights Bill, which was drafted with civil society’s input was far more comprehensive than the one that finally got the Ministry’s accent. There are some key issues that were evaded, in the revised version, in particular banning child labour. The reference in the Bill was to the “worst forms of labour” in consonance with ILO convention 182. Many of the worst form of child labour have already been declared prohibited by the Employment of Children Act 1991—also a private member’s bill and the only one to-date. If the new law is to bring value to child rights with reference to child labour, then it should ban child labour altogether or present something that is over and above what has already been stipulated. This is a major step and one that will reflect the true aspirational character of the government. Secondly, provinces need to start thinking about laws pertaining to the criminal justice system. Pakistan has the Juvenile Justice System (JJSO) Ordinance 2000 in place in terms of a normative framework at the Federal level and now corresponding provincial laws need to be enacted. There are issues with the implementation of JJSO in the sense that Juvenile courts which were to be established under its aegis have not been established in any province including KP. Here is another legislation which is calling for the creation of yet another level of courts, Child Protection courts under the new law. One wonders how that will be accomplished given the current resource constraints and competing priorities. The existing Ordinance must therefore be revisited. Technical inputs should be solicited and other weaknesses of the ordinance, in particular its reliance on institutional entities as a panacea—a child protection commission, child protection institutions and officers—should be reviewed. Our federal and provincial governments see the creation of commissions and institutional entities as an end in themselves. We also need to be mindful that the creation of many ‘commissions’ e.g the National Commission for Child Welfare and ‘courts’ e.g Juvenile Courts in the area of child welfare have not been honoured previously. What is more important than these norms is to also work on the social political culture towards greater awareness of substantive issues of national interest. Several weeks have passed since the Ordinance was promulgated and almost a month since the official press conference; however what is surprising is that the legislative framework hasn’t attracted any attention at all in terms of a public debate on its stipulations or the lack thereof. As part of background research for this comment, grey literature search was performed on key search engines using relevant keywords and websites of major newspapers were searched. There were 2 articles on the subject in all on a matter which touches almost every household in the country. There are more than a dozen reputable newspapers, twice that number of active TV channels, some stellar anchors, significant time devoted to current affairs, a national audience which is now primed to discussions on ‘national issues’. However, this very important subject has not been the focus of attention at all. Children comprise 52% of Pakistan’s population. Children are everybody’s business. We must engage in a substantive dialogue to ensure that the welfare of our children is guaranteed by law.